Vertex Pharmaceuticals Headquarters (Fan Pier A,B) — The Green Engineer, Inc. 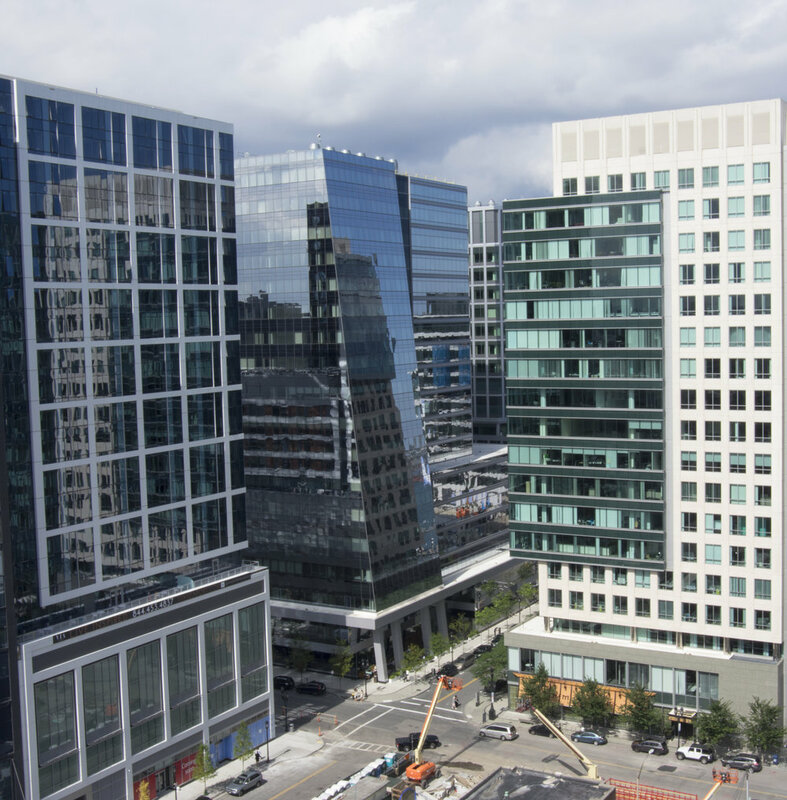 Located on a prominent site in Boston’s rapidly expanding Seaport District, the project is part of The Fallon Company’s 21-acre Fan Pier development—one of the largest mixed-use, waterfront, LEED-certified communities in the country. 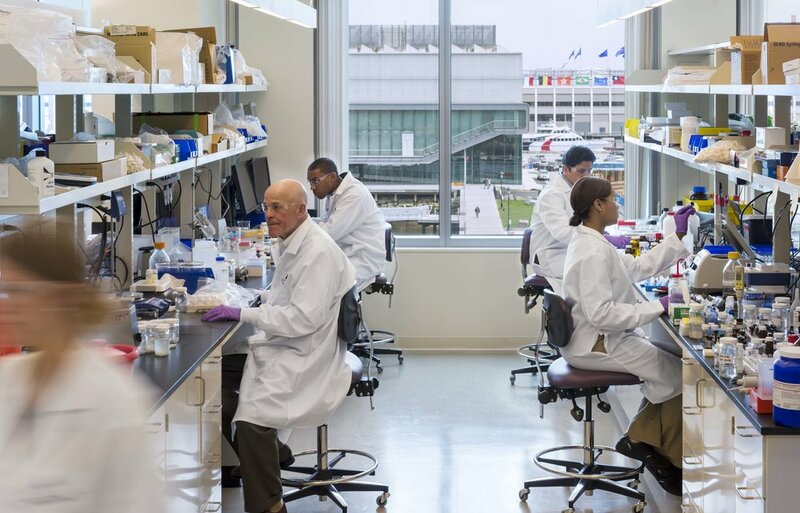 The Vertex buildings constitute part of the Vertex Pharmaceutical’s new 1.1 million square foot campus in Boston’s Innovation District / Seaport District. The buildings are designed to consolidate Vertex’s disparate offices into one centralized location at Fan Pier. Building A, located at 50 Northern Avenue, comprises the complete design and fit-out of the core and shell space. Designed by Tsoi/Kobus & Associates, the 638,421 GSF building has a first floor entry lobby, retail spaces, loading bays, and a vehicular ramp to a three-floor parking garage. Floors two through seven house lab and research space, levels eight and mezzanine eight house mechanical equipment, and floors nine through fifteen accommodate research and office space, with mechanical floors above. The below-grade parking garage includes 70-foot sheet piles to provide added protection from seawater. Building B is located at 11 Fan Pier Boulevard and has a similar layout to Building A. The differences in this 673,760 GSF building include a daycare facility, a pedestrian bridge at floors five and six connected to 50 Northern Ave., and an outdoor terraces on the 7th floor. The Green Engineer provided LEED Project Management services on both buildings during the Core & Shell development, as well as for the Tenant Fit-Out phases. Building Owner/Developer: The Fallon Company with Massachusetts Mutual Life Insurance Co. and Cornerstone Real Estate Advisers, Inc.